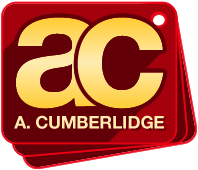 The team here at A Cumberlidge has extensive knowledge and experience of specification, preparation and installation of wall and floor tiling across a number of industry sectors using almost every type of tile imaginable. There are literally thousands of different tiles with specific purposes and finishes to choose from. Tiles to suit any budget from value for money ceramics to luxurious materials such as solid granite or limestone. Tiles can totally transform any given space to deliver functionality and form without compromise on style. We deliver a multitude of tiling contracts every year for numerous clients including healthcare, offices, retail, hospitality & leisure, industrial, commercial and residential. Our focus is on professionalism and completing every project to our own exacting standards irrespective of complexity, budget or location.